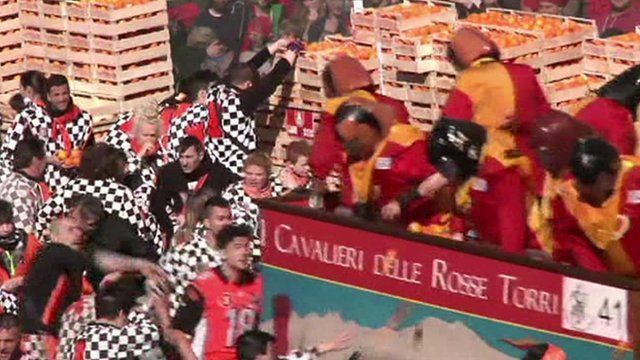 Italian town holds giant food fight Jump to media player The Battle of the Oranges takes place every spring in the small town of Ivrea, near Turin. 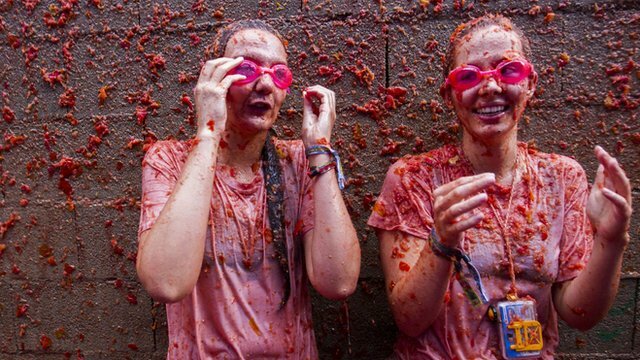 Spain tomato throwers charged fee Jump to media player The debt-hit Spanish town of Bunol - world-renowned for its tomato-throwing Tomatina festival - is to charge entry for the first time. An epic three day food fight has begun in northern Italy. Participants hurl more than 250kg of fruit at each other for fun during the Battle of the Oranges, which takes place every spring in the small town of Ivrea, near Turin.